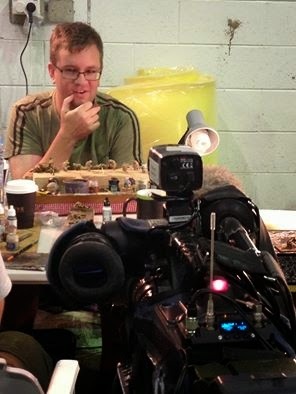 On Saturday a TV1 news team was at Weta Workshop filming the action as we worked to finish off the 5,000 figures for the Chunuk Bair diorama. Amongst those interviewed was Sam Campbell from the Kapiti team. The piece has not yet aired on television. We will post a link here on the blog as soon as we know it is up on their website.